Fantasia Barrino (from American Idol) first tour with Kem, Fantasia Barrino (American Idol) and Kem tour. Fantasia's First Major U.S. Tour to Begin on June 8th with Motown's Kem; RIAA Platinum "Free Yourself" Album Scans More Than 1.3 Million. Urban Radio supporting 3 tracks - #1 "Truth Is," "Baby Mama," and brand new third single, #1 Most-Added "Free Yourself," produced and co-written by Missy Elliott. Recent TV appearances include co-hosting Soul Train Awards in March and performances on American Idol and Tonight Show with Jay Leno this month; Good Morning America live summer concert series set for July 22nd. "Free Yourself," produced and co-written by Missy Elliott (one of three tracks she contributed to the album), was also this week's #2 Most Added at the Urban Adult format, where it picked up 107 adds and jumped 5 points to #19-bullet. The song got a strong boost when Fantasia performed it last week on NBC's Tonight Show with Jay Leno. "Free Yourself" is the follow-up to "Truth Is" (the first single from the album) which shows no signs of letting go at radio after more than 5 months out. The Soulshock & Karlin-produced hit "Truth Is" has held the #1 spot on the Urban Adult chart for 11 consecutive weeks. It also has the most one-week airplay totals ever on an adult record in Billboard and Billboard Monitor history with 1558 spins in the issues dated April 15. The video (directed by Diane Martel) stays in Power rotation at BET and in medium rotation on VH1's Soul Digital Channel. American Idol audiences are still reeling from Fantasia Barrino's triumphant guest return to the show on April 6th, when she performed "I Believe" and "Truth Is" to a standing ovation. (On July 22nd, Fantasia will perform "Free Yourself" and two other songs live, on ABC's Good Morning America summer concert series.) Meanwhile, Urban Mainstream radio is also playing a third track, "Baby Mama" (co-written and produced by Harold Lilly). As a result of all this exposure, "Free Yourself" rose 5 points to #25 bullet on the Billboard 200 albums chart and jumped 2 points to #7-bullet on the Top R&B/Hip-Hop Albums chart. 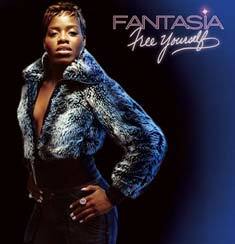 With Nielsen Soundscan reporting sales of more than 1.3 million copies of "Free Yourself", 2005 has been a resoundingly successful year for Fantasia - "the first American Idol to count as a discovery" (San Francisco Chronicle) and "the American Idol champ most likely to become a genuine pop idol" (People). After performing "Truth Is" on BET's Celebration Of Gospel special and on Soul Train both in February, she co-hosted the 19th annual Soul Train Awards gala in March, and performed a medley of "Baby Mama" and "Free Yourself" on the big night. Later that month, Fantasia was named Outstanding New Artist at the 36th annual NAACP Image Awards. The High Point, North Carolina native and single mother Fantasia Barrino had her name carved into chart record books as the first artist in the history of Billboard's Hot 100 to debut at #1 with her first single, "I Believe" - which went on to become the best selling single of 2004, according to Nielsen Soundscan charts. Fantasia "Free Yourself" CD: ORDER IT NOW. Celine Dion charity performance: Tsunami Fund Benefit with Mother's Day Performance of A New Day, Celine Dion charity performance: Tsunami Fund Benefit. Sir Elton John joins a cast of celebrities to lend his support for Celine Dion's Mother's Day benefit performance of A New Day... which is expected to raise one million dollars for UNICEF's Tsunami Recovery Fund. Celine Dion will dedicate a special Mother's Day performance of her Las Vegas show A New Day..., created by Dragone at The Colosseum at Caesars Palace, to raise money for the victims of the Asian tsunami. Proceeds from the Sunday, May 8 show will go to UNICEF's Tsunami Recovery Fund to help with relief and reconstruction efforts in the tsunami-affected region. The evening's event will be Chaired by Celine Dion with her husband Rene Angelil, and Co-Chaired by Caesars Palace President Mark Juliano with his wife Jacqueline Juliano, and AEG President and CEO Timothy J. Leiweke with his wife Bernadette Leiweke. Master of Ceremonies and Honorary Committee Member Larry King will host the evening's activities. "Like everyone else in the world, I was devastated by the loss and suffering of the people of South Asia after the tsunami and decided we had to do something to make sure help and awareness would continue for a long time to come," said Celine Dion. "Our goal is to raise one million dollars but we're hoping to go far beyond that since all the money is going to UNICEF to help these people get their lives back. It's going to be a very special night, for a great cause, and the support we've been getting from our sponsors and the fans has been amazing." Regularly priced tickets are on sale now for the Sunday, May 8 performance by calling 1-877-4-CELINE. In addition, funds are being raised through sponsorship packages, a special commemorative program book, collection boxes in The Colosseum and a silent auction preceding the show. The auction will include items such as a private dinner with Celine Dion and Rene Angelil prepared by their personal chef, and a pair of front-row tickets and a meet and greet with Elton John and Jerry Seinfeld during one of their upcoming engagements at The Colosseum at Caesars Palace. Details on sponsorship opportunities can be found at http://info.aeglive.com/celine or by calling 1-866-678-3466. "It's heartwarming that world-renowned artists, distinguished political leaders and top corporations have so enthusiastically joined Celine and Rene in this important fundraiser," said Mark Juliano, president of Caesars Palace. "On May 8, the Caesars Palace Colosseum will echo with applause and cheers that will bring hope to people who desperately need to know that the world is committed to help them rebuild their lives." "With each performance of A New Day..., Celine brings joy, inspiration and a touch of hope to her audience," said Timothy J. Leiweke, president and CEO of AEG. "The May 8 performance will allow her to reach beyond those that fill The Colosseum every night and touch the lives of those who are most in need of these gifts right now." "Mothers and children have been central to UNICEF's mission for the past 60 years. On this Mother's Day, it is especially poignant that Ms. Dion has chosen to use the spotlight afforded to her to speak out on behalf of all mothers, everywhere, who want the best for their children -- a simple message we can all embrace, wherever we live," said Charles J. Lyons, President, U.S. Fund for UNICEF. "We are grateful to Ms. Dion for helping to maintain public attention to the needs of those affected by the tsunami -- it is crucial that awareness and support continue for the long-term rebuilding and rehabilitation phases." UNICEF has a strong presence in the regions worst affected by the tsunami, making it especially well positioned to provide urgent and sustainable help when the disaster struck. Working with governments, other UN agencies and the broader relief community, UNICEF's work has focused on four chief areas: child survival, family reunification, child protection and getting schools up and running. Celine Dion "Miracle" latest CD: ORDER IT NOW . John Mellencamp and John Fogerty tour together, John Mellencamp and John Fogerty summer tour announced. John Mellencamp will be joined by John Fogerty on tour this summer for a series of concert dates that will bring the two legendary American rockers together before audiences nationwide over a two month period. The first twenty dates have just been announced with the kick off set for Cincinnati's Riverbend Music Center on June 24th. Presented by VH1 and VH1 Classic, the first leg of the tour will bring the contemporary and classic hit songs of Mellencamp and Fogerty to Chicago, Indianapolis, New York, Boston, Atlanta, Detroit and other North and Southeastern and Midwestern markets. Western dates are expected for the latter part of the summer. Tickets for the general public become available via an exclusive pre-sale on VH1.com beginning Wednesday, April 27. John Mellencamp, who has just completed his first tour in three years, commented on the prospect of working with John Fogerty this summer, "It's a very fulfilling situation for me to be able to go out and tour with one of my musical heroes." He added, "The response to the initial dates has been very gratifying and now we're really looking forward to going out this summer with John and keeping these songs alive." "Words & Music: John Mellencamp's Greatest Hits" the 2CD RIAA Platinum-certified set from Island/Universal will be the source of most of the repertoire Mellencamp will perform in concert this summer. 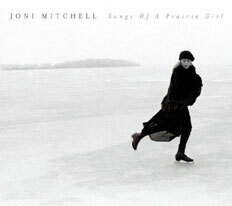 It includes such iconic hits as "Jack & Diane," "Small Town," "Pink Houses," "R.O.C.K. In The U.S.A.," "Authority Song" and more. He'll also be highlighting his latest, "Walk Tall," that is one of two newly recorded tracks on the "Words & Music" collection. John Fogerty will perform his own full set highlighting his many solo hits and the songs he created and sang as part of Creedence Clearwater Revival including "Proud Mary," "Old Man Down The Road," "Fortunate Son," "Bad Moon Rising," " Centerfield" and songs from his latest Geffen album, Deja vu All Over Again. 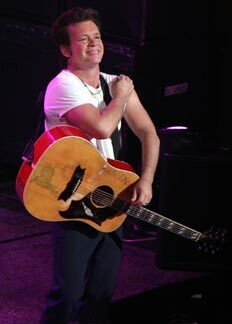 John Mellencamp and John Fogerty will also perform together during the course of the show. Commenting on touring with John Mellencamp, John Fogerty stated, "I've long admired John's music since the days of 'little pink houses.' He always brings great intensity and energy to his live performance and I'm looking forward to some rockin' shows this summer." John Mellencamp "Trouble No More" live DVD: ORDER IT NOW . Huey Lewis & the News "Live At 25" CD+DVD, Huey Lewis new CD and new DVD out May 17, 2005 (on Rhino Records). Huey Lewis & The News, and his clan of good-time San Francisco-based pop-rockers had a long run of scaling the charts in the '80s and '90s with unforgettable radio hits. Fusing '60s R&B, U.K. bar band vigor, and Classic Rock 'n' Roll, their spirited sound netted a pair of #1 albums anda slew of signature songs. A quarter century after they formed, they're still going strong, and many of their biggest tracks get the band's always crowd-pleasing send-up on this cookin' live album recorded in concert on their Northern California home turf in December 2004. Huey Lewis & the News celebrate two and a half decades of great rockin' with the release of "Live at 25". Filmed in December 2004 at two highly anticipated shows at the Sierra Nevada Brewing Company in Chico, CA, the DVD features chart-topping hits and fan faves like "The Heart of Rock & Roll," "Power Of Love," and "If This Is It." Huey Lewis & the News "Live at 25" DVD captures Huey Lewis and the News at the peak of their club-rocking powers, delivering 19 songs that span the gropu's hugely successful career. "Rythm Ranch" with a commentary from Huey Lewis. The band's "Buzz, Buzz, Buzz" American Bandstand performance. "Stuck with You" from the band's All The Way Live VHS concert. "Trouble in Paradise" from the band's Heart of Rock and Roll VHS concert. "Working for a Living" from the Chico perfomances. Huey Lewis & the News "Live At 25" new DVD: ORDER IT NOW . 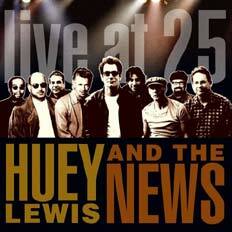 Huey Lewis & the News "Live At 25" new CD (17 tracks): ORDER IT NOW . A new Peter Friestedt's record on the way!! Peter Friestedt has been busy in LA. working on a new CD at Entourage Studios in North Hollywood, LA. The new record features Abraham Laboriel, Bill Champlin, Joseph Williams, Lou Pardini, Randy Goodrum, J.R Robinson and many more. I just can't wait listening to the new material! Peter Friestedt was born in 1973 and raised in Strömstad, Sweden. He began to play the piano at age 10, and by the time he was 11 years old, Peter had begun to play guitar. Peter Friestedt studied at various Music Conservatories in Sweden (Gothenbourg Jazz Academy, Skurup Music Conservatory, and the Haparanda Music Conservatory, where he also taught guitar). In 1998, he decided to continue his studies in the United States at the Los Angeles Music Academy, under the instruction of department head Frank Gambale and his guitar staff. In Sweden, Peter Friestedt performed with gospel artist Per-Eric Hallin, jazz-funk giant Nils Landgren, The Buddy Rich Tribute Big Band, as well as his own Peter Friestedt Group. Peter Friestedt graduated from the Los Angeles Music Academy in excellent academic standing. He was one of four students, coached by the legendary drummer Ralph Humphrey and LAMA guitar instructor Bill Fowler, who received recognition for first place in the 2000 Cal State Los Angeles University Jazz Competition. Peter Friestedt "L.A. Project" first CD (feat. 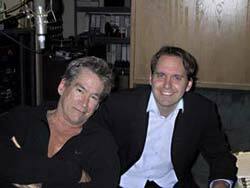 Bill Champlin and Joseph Williams, formerly of Toto): ORDER IT NOW . Clay Aiken news update: Clay Aiken summer tour and TV appareance, Clay Aiken fanclub. Please also note Clay Aiken official fanclub is now launched at the following website. 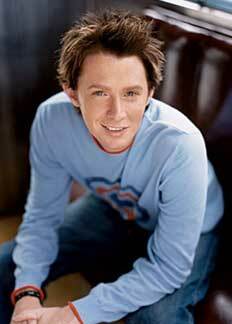 As the runner-up to Fox TV's second American Idol: The Search for a Superstar competition, vocalist Clay Aiken wowed television audiences in 2003 with his Southern charm, sweet demeanor, and bright, glorious voice, and became a pop star. Originally, Clay Aiken planned to try out for the reality TV series The American Race, but went ahead and auditioned for the talent contest to please an encouraging friend. Out of 7,000 hopefuls, the Charlotte, NC, native won the hearts of the judges as well as millions of fans across the globe. Clay Aiken "Measure of a Man" CD (2003): ORDER IT NOW . Don Henley/Stevie Nicks tour, Don Henley/Stevie Nicks on tour very soon. Don Henley (from The Eagles) is about to head out on tour across America with Stevie Nicks (from Fleetwood Mac). The Don Henley/Stevie Nicks relationship dates back to her 1981 album "Bella Donna" and the song "Leather and Lace". Stevie Nicks and Don Henley will perform their solo material as well as some of their hits from Fleetwood Mac and The Eagles on this tour. 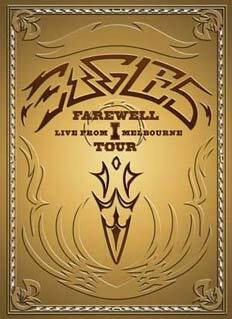 "Farewell Tour: Live From Melbourne" new DVD from The Eagles: ORDER IT NOW. Bruce Springsteen "Devils & Dust", Bruce Springsteen new album media appeareances. Preview "All I'm Thinkin' About" from the Devils & Dust DualDisc now on Yahoo.com, then check back on Monday to watch the premiere of the "Devils & Dust" video. Bruce Springsteen's appearance on "VH1 Storytellers" premieres on Saturday, April 23, and will feature "Blinded By the Light," "Brilliant Disguise," "The Rising," "Thunder Road," "Devils & Dust" and "Jesus Was an Only Son." The one-hour Storytellers debuts on 4/23 at 10 p.m. Eastern and repeating at midnight (4/24, 12 a.m.), on 4/25 at 3 p.m., and on 4/27 at 1 a.m.
On Tuesday, April 26, at 8 p.m., VH1 Classic will air a special extended version of Storytellers. VH1 Classic has declared Tuesday, April 26, to be "Bruce Springsteen Day" to mark the release of Devils & Dust, with videos, concert films, and "new interview moments with Springsteen himself exclusive to the channel." On Monday, April 25, VH1 Classic will play the new "Devils & Dust" video every hour at the top of the hour. Bruce Springsteen will discuss "Devils & Dust" and his upcoming solo tour! Also featured in this special interview will be "exclusive" live highlights of Bruce performing the title track from "Devils & Dust," as well as "All I'm Thinking About." Interview profile with Matt Lauer. Performances of "Devils & Dust" and "All I'm Thinkin' About." Interview with Renée Montagne as well as performances of "Devils & Dust" and "Jesus Was an Only Son." 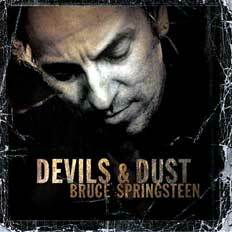 Bruce Springsteen "Devils & Dust" new CD+DVD: ORDER IT NOW. 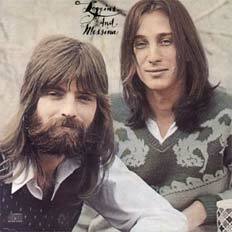 Loggins & Messina reunion tour, Kenny Loggins & Jim Messina in tour again! 6/28 - Phoenix AZ - Dodge Theatre - 5/7 T.B.A. 6/29 - Los Angeles CA - Greek Theatre - 4/24 T.B.A.